This is an example of what your suppliers will receive accompanying their electronic payment. 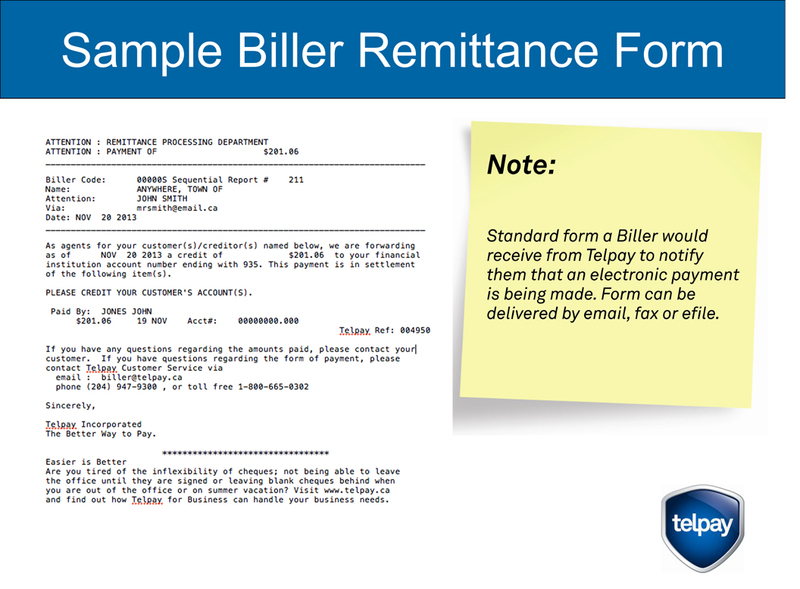 This remittance report makes it easy for your suppliers to reconcile their payments from Telpay. The report can be sent by fax, email or e-file.